With immigration as a recurring theme in Donald Trump’s agenda, as well as his campaign promise to build a wall between Mexico and the United States, interviewing an immigrant and staff member here at Los Angeles River School only seemed natural. Her name is Ms. Jay and this is her story and her opinions on being an immigrant here in the US. 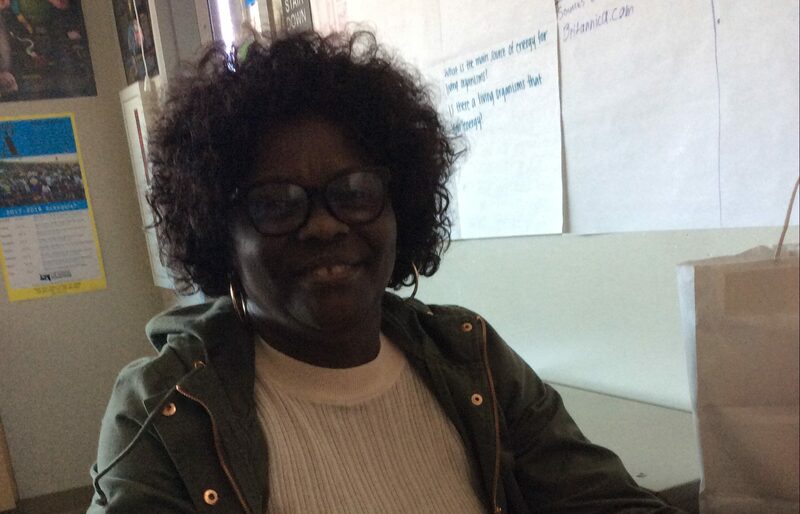 Ms. Jay traveled 1,888 miles from Haiti to America on Oct. 25, 1996 with her husband and four children in search for a better education for her and her children. Immigrants have faced hardships through their journeys, leaving their loved ones and previous lives in turn for a better one. Undoubtedly, there were some things they look upon with regret, but Ms. Jay said she has no regrets. “No, no. I do not regret coming. Coming here was not my choice. I got a legal green card and had to come,” Jay said. Even having to leave behind a life in Haiti, she still came because the United States is seen as the land of opportunity. She knew that she could accomplish more and thrive being in a country well known for having one of the world’s best economies, even if she had to sacrifice her way of living in turn for a completely different one. Although already being previously established in Haiti, Jay knew that a future where her children could be prominent and find success would be in the U.S.
Education is a foundation that fosters knowledge and is one of the important aspects of being in the U.S. — in some countries, the luxury of education may not be accessible. Jay prides herself in the education of her and her children, and that is the catalyst for her being in the U.S. However, Jay’s main goal was to educate young minds here in America. In Haiti, she valued education and there was no doubt that she wanted that to resonate in her job. Jay was a math teacher in Haiti before immigrating. Here, she wanted to pursue the same job she did back over there. She helped each of her children get into top colleges and obtain good careers. Immigrants are often seen as those who weigh down the economy, but they should not be viewed this way. Immigrants who come seeking an education are the ones who probably contribute the most to our society; being ridiculed for coming to this country and just “mooching off” the government is a false pretense. Immigrants like Jay who come for their education should be seen as the ideal immigrant. Discrimination in the United States varies from race to educational and even economic levels. Jay said she’s had different experiences with discrimination in the U.S.
“I don’t take it as seriously. I don’t accept it. Here I have learned that, I believe discrimination is not only in the US. Haitian people do not discriminate against color, but social discrimination, not color and money but they discriminate based on level of knowledge,” Jay said. Discrimination in some countries is minimal when compared to other important aspects; in the U.S., it is based on color and gender when, in reality, they shouldn’t matter. We are together as one and race should not matter. As people we need to come together, because with Trump’s recent election and comments about immigrants, racism and discrimination are going to be high against people of color. The American dream could have a different meaning to different people: some see it as an economical advancement, a better life, a better future and, overall, just a chance to succeed in what an opportunity that was not available in their country of origin. The term “The American Dream” only refers to America. “I believe people can make progress wherever they are. If you have a dream, then chase that dream. If you’re in Mexico or Haiti, you can still make progress towards that dream. It is up to you if you want to achieve your dreams. The world is populated with many people all over who want to do great things. You don’t have to be in America to achieve that dream,” Jay said. When we concluded our interview, we asked Ms. Jay if she’d like to share one last thing, and she left us off on the note of pride. “As a Haitian, I’m proud of myself — I respect myself, my education. I don’t believe in black and white. I believe in education and believe in my country. My brother lives well in Haiti. Haiti is a very pretty island. I am proud of myself being Haitian,” she said. Being an immigrant in a different country does not mean abandoning your traditions and identity. What makes immigrants great is that they bring a new sense of identity and culture to the United States. Ms. Jay brings her culture in the class when helping the bright students of Los Angeles River School.